Sorry for not getting these up yesterday. To be honest I’ve been swamped focused on the World Cup. I mentioned it last week but just a quick link for those who missed it – BetSoccer.ca – now with tips for all opening games in the group stages. Can’t wait for this weekend – the US Open and the World Cup. What a time to be alive. DJ is going in hot this week after his win on the St Jude and we’re also going in hot after my pick of Mikko Korhonen to win the Shot Clock Masters. The 20/1 did that with relative ease as he surged in the 3rd round and didn’t look back. Was nice going into that final round knowing he had it mostly wrapped up and he didn’t disappoint. Fun tournament that was I have to say. 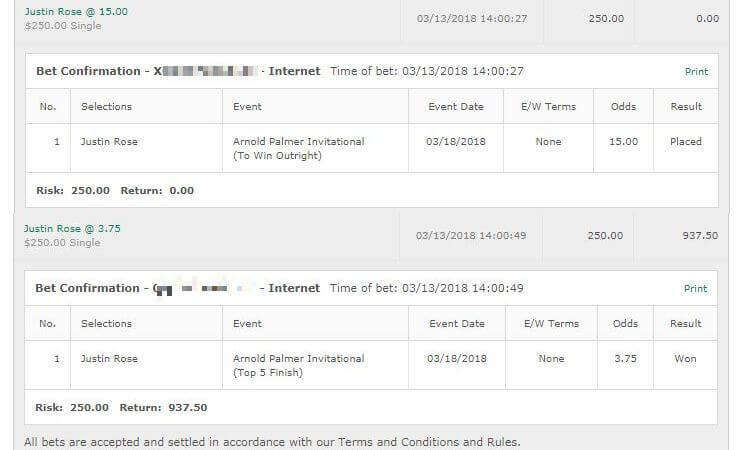 I’ve picked two out of the three last US Open winners, with only Rickie Fowler letting us down last year. And he was doing amazing too up until the latter part of the tournament. Brutal. Let’s get to it and I’m in a good mood after the win and with all the sports so for the first major in awhile, I won’t force you to share it to see the content. 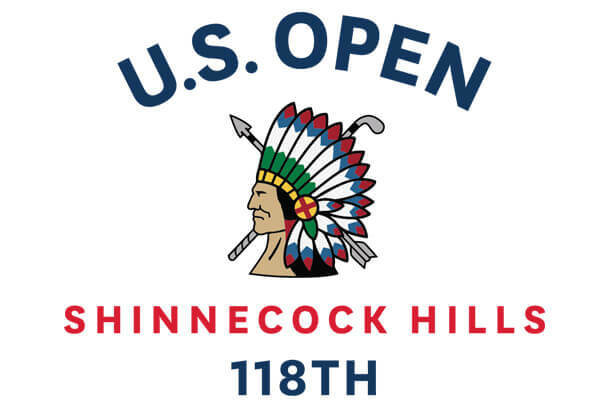 Hosting it at Shinnecock is great – an excellent course and this is going to be really fun to watch. Going to be a different course than anything you’ve seen on the PGA Tour. I’ve seen quite a few people mention Rahm this week. I think he just isn’t mature enough yet to handle something like this – especially at a course like this. The price as well is off-putting. Rickie Fowler: He was leading last year at the end of the first round and just couldn’t keep it going. But his major form has been excellent. He’s coming into this on form, and this course just seems right for him. The man has the ability to win a major and this could be the time. Surely he has to win one at some point he’s too good not to. When it comes to links, Fowler has the experience for it and he’s got the sort of patience that I think is really going to suit this course. Looking back I find he’s really evolved as a golfer too in the last year – his goal really seems to win a Major and he is able to peak around that time. He also really likes this course. Don’t let us down Rickie Boy. 1 unit to win & E/W. Rory McIlroy: Rory is one of those guys who is hard to always pick. You never know what you’re going to get from him. Especially on a course like this despite his experience with the links – it may get the best of him and frustration will set in. BUT….I think back to his performance just a few short months ago at the Arnold Palmer Invitational. That was one of the best golf displays I’ve seen in a long time. He entered a zone that I don’t think he’s ever been in in his life. Since then he’s had three top 10 finishes and is staying in contention. Rory is worth a 1/4 unit to win. Price at 1/5 payouts puts me off betting E/W there. It’s going to kill me if Spieth wins this week. I usually have a rule of backing him at anything higher than 12/1 and he’s 20/1 here. But I’ve sat here trying to convince myself to tip him and I just can’t. Hope that doesn’t come back to bite me. Strongly debated DJ too to at least cover the other bets. Decided against it as price just seems too short for me. Now for the long shots…. 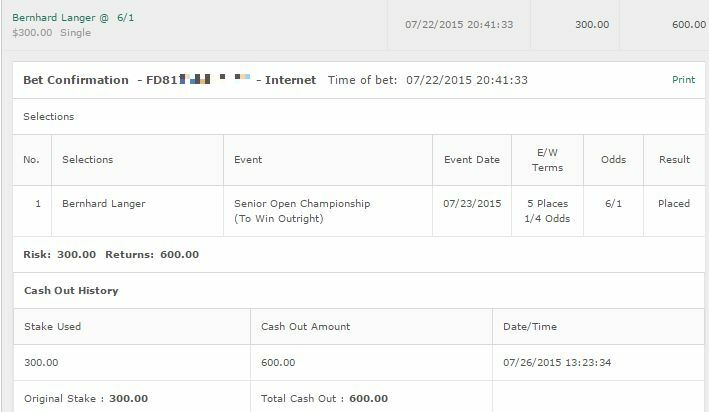 Tony Finau: At around 80/1 this is a long shot bet but with e/w paying out at top 8 I’m happy with that. His majors history is decent enough and I really like his scoring/putting in the 4th round. I think that can be a big factor and if he’s amongst the pack going into the final half of the US Open….anything could happen. 1/4 unit to win & E/W. Brandt Snedeker: Solid enough Majors record and coming in confident after a great performance last week. 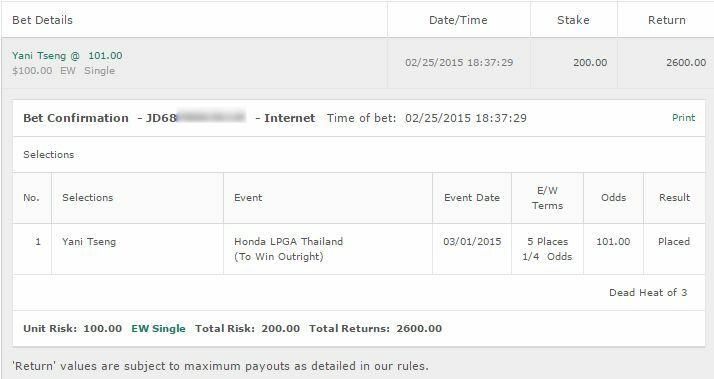 He’s performed well on links courses before and with his momentum, I’m good to back Snedeker 1/4 unit to win & E/W. Francesco Molinari: Coming in on fire and his last couple of Majors performances have been excellent. Could pull off a surprise. 1/4 unit to win & E/W. Trey Mullinax: Excellent driver of the ball and at the US Open last year he finished 9th. Could surprise us and slip into a cash. 1/4 unit to win & E/W. Bryson Dechambeau: Honestly? I’m not seeing it. However I’ve seen some people I really respect think he has a chance this week, and so I’d love to be wrong about this one. He’s a pretty damn solid price, and I’ll back him at 1/4 unit to win & E/W.